Intuition is your sixth sense. In the simplest of terms, intuition is knowing something without knowing how you know it. Everyone acts on their intuition more than they realize. However, when it comes to psychics, there are individuals who are natural born psychics and there are others who are psychic because they have developed their intuition to its full potential. 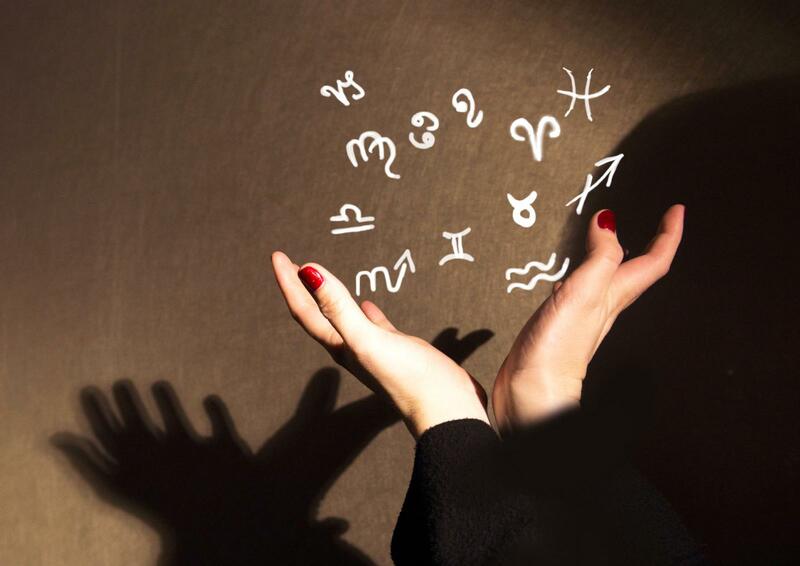 How psychic are the 12 astrology signs? The water signs (Cancer, Scorpio, and Pisces) are the most naturally psychic astrological signs. They are yin, feminine, emotional, receptive, and inward looking. Cancer is emotionally empathetic. Those with a Cancer emphasis on their horoscope can easily pick up on surrounding energies and tap into the emotions at the root of all situations. Scorpio is mediumistic. Those with a Scorpio emphasis in the horoscope can have the ability to sense and communicate with spirits and other invisible entities. Pisces is the most psychic sign of the zodiac. Those with a Pisces emphasis in their horoscope are highly impressionable and can have the ability to connect to the past, present, and future. They can also have a unique ability to sense what's going on in non-physical planes of existence. Is There Any Truth to Tarot Card Readings and Palm Readings? The earth signs are Taurus, Virgo, and Capricorn. If you have significant planetary placements in one of these three signs, you can receive impressions through the five physical senses; sight, hearing, taste, smell, and touch. Earth is also the 'grounding' factor that enables all psychics to help others. Taurus is the sign most attuned to the five physical senses and is particularly attuned to tastes, smells, and touch. Virgo is a mentally aware sign that is able to take small bits and pieces of information and create a meaningful whole. Capricorn is a patient and clear-sighted sign that has an awareness of time; the past, present, and future. The fire signs (Aries, Leo, and Sagittarius) are highly intuitive and are in touch with the future. Aries is focused on the moment and often seem to know what's just about to happen. Leo connects to the rhythm of life and has great timing. Sagittarius understands current trends of thought and has far-sighted vision. It's the most intuitively prophetic of the fire signs. The air signs have mental thought forms and insights that are filled with logic and clarity. Gemini can tune into voices, thoughts, and vibes from everything near them. Aquarius can read future trends and sense the feelings of whole regions, if not continents. Regardless of which sign your astrological sun sign is in, it's really the three outer or transpersonal planets (Uranus, Neptune, and Pluto) that give psychic powers. If one of these planets is in aspect to your sun, moon, personal planets, or is in some way prominent in your horoscope, you have great potential for psychic abilities. If Uranus (the planetary ruler of Aquarius) is prominent, information and impressions are quickly processed. "Eureka" moments of genius, sudden insights, or extra-sensory knowledge are possible. If the soul is more evolved, Uranus can connect them with the Akashic Records, and they can have clear clairvoyant vision. If Neptune (planetary ruler of Pisces) is prominent in a horoscope, it can indicate psychic skills that include: clairvoyance, seeing auras, crystal gazing, dowsing, omen reading, and telepathy. It also indicates an empathic individual who can merge with others, feel their pain, know what they're feeling, and see their past and future. If Pluto (planetary ruler of Scorpio) is prominent in a horoscope, it gives the psychic skills of x-ray vision, telekinesis, the ability to see the past lives (one's own and others), and to retrieve memories of buried traumas (past life and present). Pluto speaks of mediumistic abilities such as ghost channeling and communicating with the dead. As an example, the horoscope of the most famous psychic of the 20th Century, Edger Cayce, shows a Pisces Sun, as well as Venus, Saturn, Mercury, and the North Node in Pisces, Pluto on his MC, and Uranus on his ASC. The movement of a planet in the sky is called a transit. Transits are the timing mechanism of astrology. The transits of Uranus, Neptune, and Pluto in aspect to personal planets and points in an individual's natal horoscope reveal long periods in their life when they could be prone to spontaneous psychic experiences. When these planets are active in your life, they bring a piece of the unknown or something beyond consciousness into your awareness. What's your zodiac sign? Are you psychic? What kind of psychic skills and potential do you have? When can you easily access that potential and develop it more fully? The answers to these questions and more are in your astrological birth chart. However, these are questions only a professional astrologer can accurately answer and then work with you to awaken those psychic abilities.